How to add a folder? Adding a folder in project will help you manage objects scientifically. You can also edit those folder objects like a group element, moving, deleting, or editing are time-saving and high efficiency. 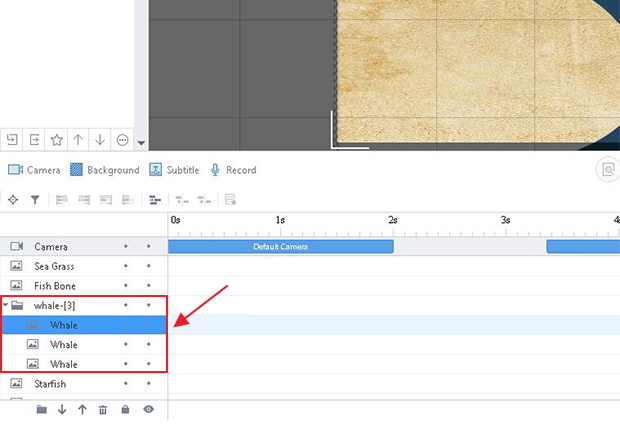 Click "Add Folder" icon at the bottom of timeline, then you will have a folder added in timeline. Rename your folder, click it and use your mouse or "Send Backward", "Bring Forward" buttons to put it anywhere you want in the timeline. Select objects in the timeline, then drag them into your folder. 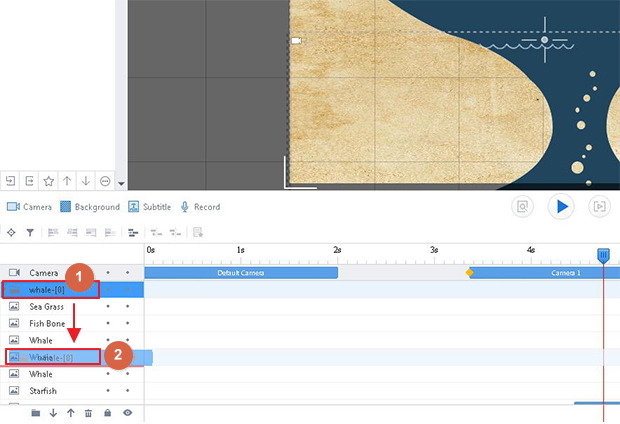 As you have dragged objects in folder, you can click the folder to select more objects together in the canvas, then to easily edit, move, and delete these objects like a group element. 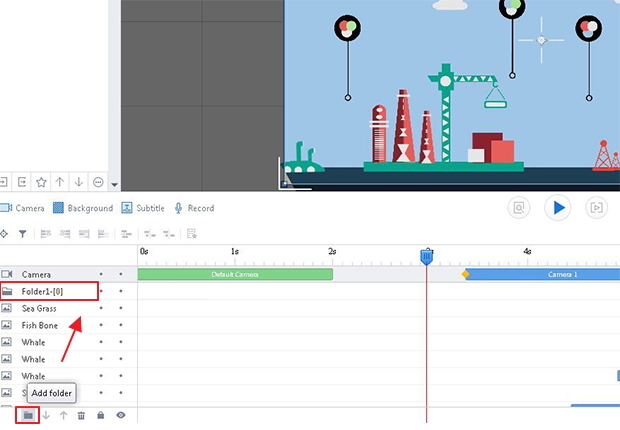 Previous：How to put the selected object in the center of Canvas? 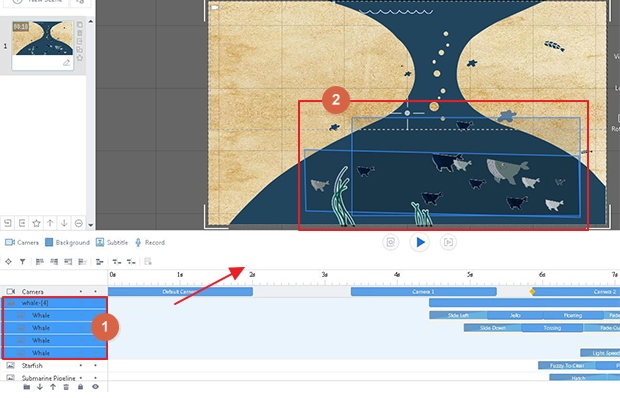 Next：How to adjust scene duration ?